I received a phone call from a past client yesterday. He called asking about water draining from a pipe in the soffit of his home. I knew immediately what he was talking about. It’s been warm in north Texas and many homeowners are switching on their air conditioning systems for the first time this season. Air conditioning systems produce condensation. Normally this condensation is caught in the primary pan and is drained into the main drain system. If the primary drain becomes stopped up, the condensation will overflow into another pan located directly under the primary pan. 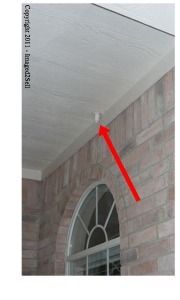 This condensation is routed to the outside of the home and the exit point is usually over a window. Why a window? So the homeowner can see the water, realize there’s a problem with the primary drain, and get it fixed. If you see water dripping from one of these pipes, it’s time to have your air conditioning serviced. It’s a good idea to have the air conditioning serviced in the beginning of the cooling season so the unit is in top operating condition. Part of that service should include preventive maintenance on the primary air conditioning drain line. All indicators point to Short Sales being on the real estate horizon for the foreseeable future, at least through 2012, and maybe longer. 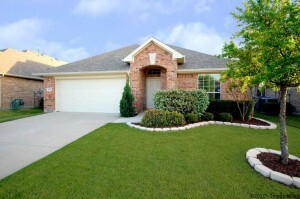 Little Elm TX Home For Lease – Imagine yourself finding a lease home that looks like new! Gourmet kitchen has solid surface countertops and 42 inch cabinets. Oversized master suite has sitting area and large walk-in closet. 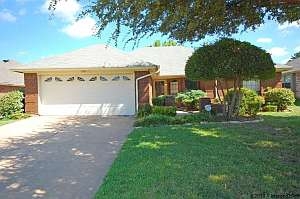 New carpet, fresh paint, lawn sprinklers, energy efficient windows, designer colors, and large fenced back yard, Appliances include washer, dryer, and side-by-side refrigerator. Community amenities include pools, club house, playground, and jogging path. 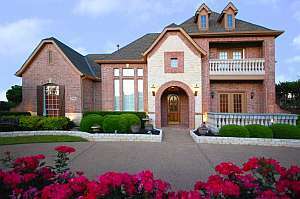 Little Elm Texas Home For Lease for Current Pricing, Details, Photos, and Virtual Tour. 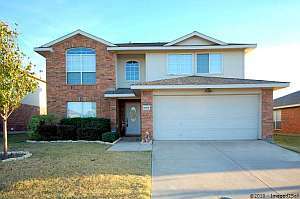 North Richland Hills Home SOLD – Great value in NRH. Nice landscaping with sprinkler system and accent lighting. Huge family room with picture frame molding and mirrors. Laminate flooring and brick fireplace with extended sitting ledge. Light and bright eat in kitchen with breakfast bar overlooks living area. Most appliances updated. Large master with spacious bath has dual sinks, garden tub, separate shower and his and hers walk-in closets. Recent carpet and paint. I was in the office speaking to one of our agents yesterday. He was relating how a client who he had helped to purchase a new home about five years ago had lost the home to foreclosure. It all started when the home was purchased. The taxes were based on a vacant lot so the lender set up the escrow account to collect the taxes. Typically by the end of the first year, the taxing authority has added an assessment for the dwelling and the homeowners’ escrow account has a shortfall. This one was worse. Apparently the taxing authority never reassessed the property and caught the mistake four years later. The homeowner was faced with a $16,000 shortfall. They could not pay it, so the lender paid it and set up their escrow account to collect the shortfall and enough to cover the taxes going forward. This added almost $1700 a month raising their payment from $1800 to $3500 a month. Talk about payment shock! Knowing they could not make those kinds of payments, they rented an apartment and let the home go into foreclosure. This is truly sad since most lenders are willing to work with homeowners in this situation. I recently worked a deal with Bank of America (I am an NMLS licensed MLO and Texas Law allows me to work on loan modifications), where the bank paid the taxes and allowed the homeowner to repay the bank over 5 years with no interest. I’ve also worked a deal with another lender to pay the taxes and add the balance to the end of the existing note. If you’re behind on your property taxes, you really need to call your lender or servicer and ask for help. 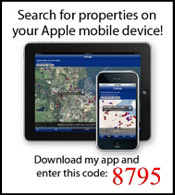 There’s no need to walk away from your home!